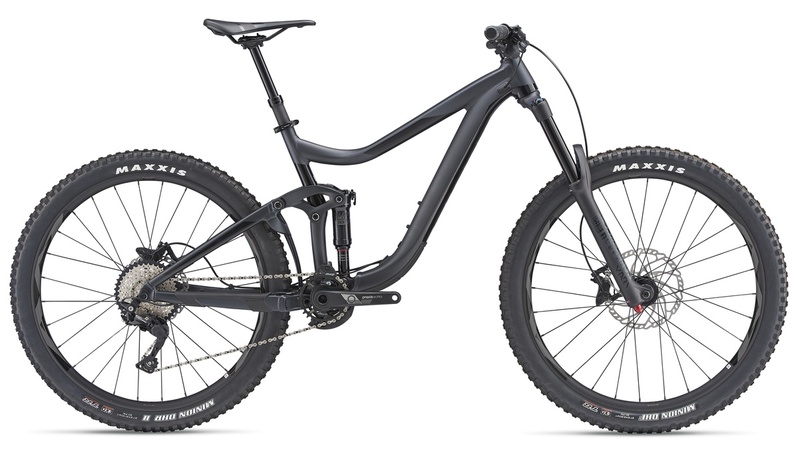 Built on an ALUXX SL aluminium frameset that’s designed to optimize its 27.5 wheels, the 2019 Giant Reign 2 gives you the capabilities and the confidence to push your limits on aggressive terrain. Its trunnion-mount Maestro rear suspension system offers 160mm of smooth, active travel and features a lighter, stiffer Advanced Forged Composite upper rocker arm. Updated geometry with a longer cockpit, a tapered OverDrive steerer tube design, and air or coil shock-compatible mounts are all aimed at maximising control—especially at speed and on rowdy terrain.